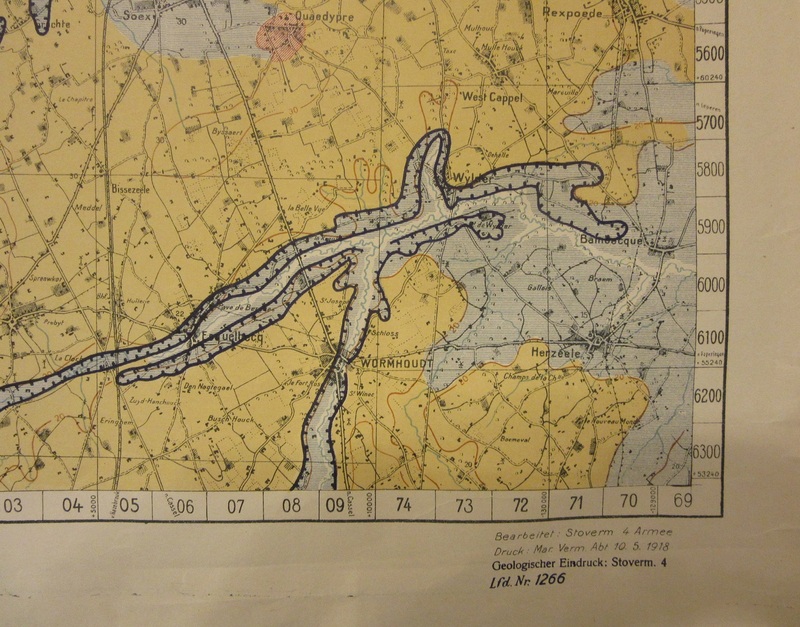 Geological maps are an important part of cartography. Showing underlying soils and rock formations they have been used to illustrate papers in geology, in helping the planning and construction of canals, railways and other structures and in the extraction of minerals from the earth. Their use in times of war is less obvious, though no less important, as the following map shows. 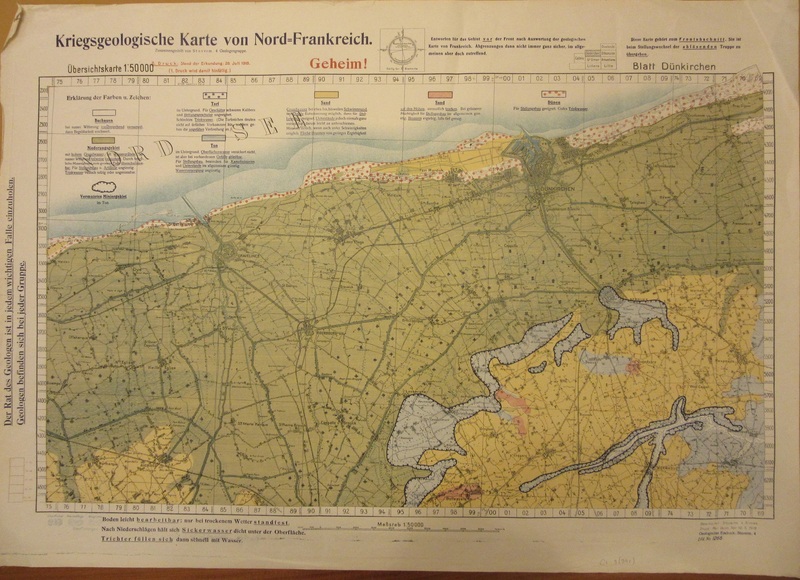 The map is one of a series produced by the German 4th Army in July of 1918, a crucial time in the latter stages of the war. Peace negotiations with the new Soviet Government in Russia released a large number of German forces to the Western Front, strengthening plans to launch a series of attacks before the arrival of American forces. Initially successful – at one point German forces were within 40 miles of Paris – counter-attacks by Allied troops soon stopped and then re-captured German gains. In this map from Harmsworth’s Atlas of the World (c1922, 2027 c.225) the German advances made in March 1918 can be seen. 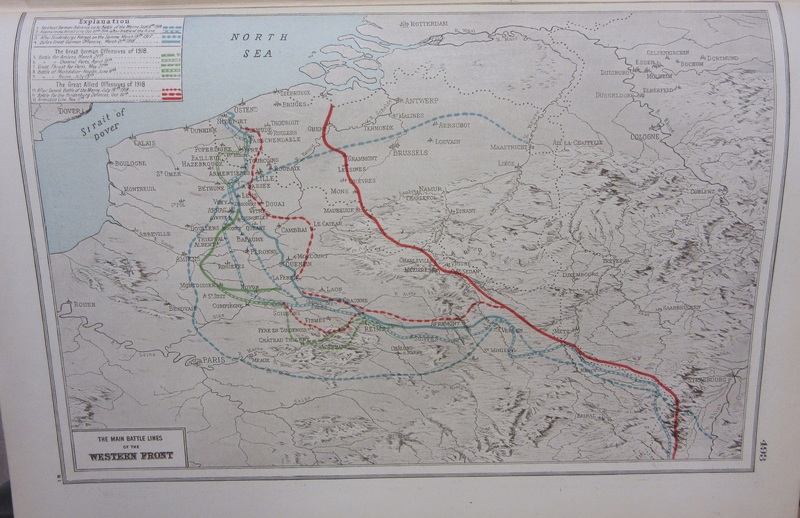 The thick blue line is the front-line before March, the green lines show the advances made by the German army from March 1918 and finally the thick red line is the front-line at the Armistice in November. 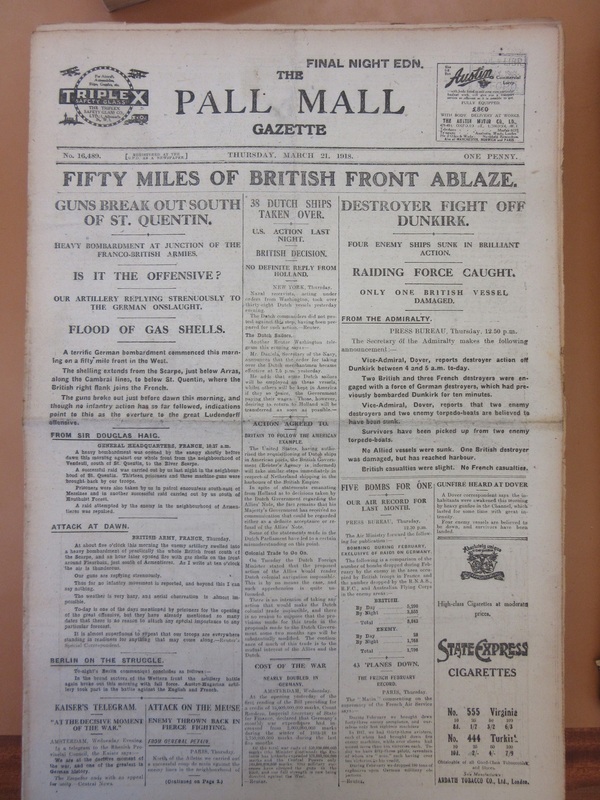 The front page of the evening edition of the Pall Mall Gazette on the day the German attack was launched. 21st March, 1918. N 2288 b.4. This geological map shows a cause for one of the defining features of the War, mud. The areas of grey that start to appear in the bottom right of the map are the beginnings of the clay beds (ton in German) that would lie a metre or so under the surface throughout the Flanders battle grounds. These clay beds stopped any water seeping into the ground and the intricate system of dykes and drainage channels that controlled the flow of water in peace time had long-since been destroyed by the millions of shells fired over the area. The map states in the bottom left ‘Soil easy to handle; stable only in dry weather. After precipitation the water is kept close to the surface. Funnels fill up quickly with water (Boden leicht bearbeitbar…’. This entry was posted in Geography, Military on 2 January 2018 by stuart.